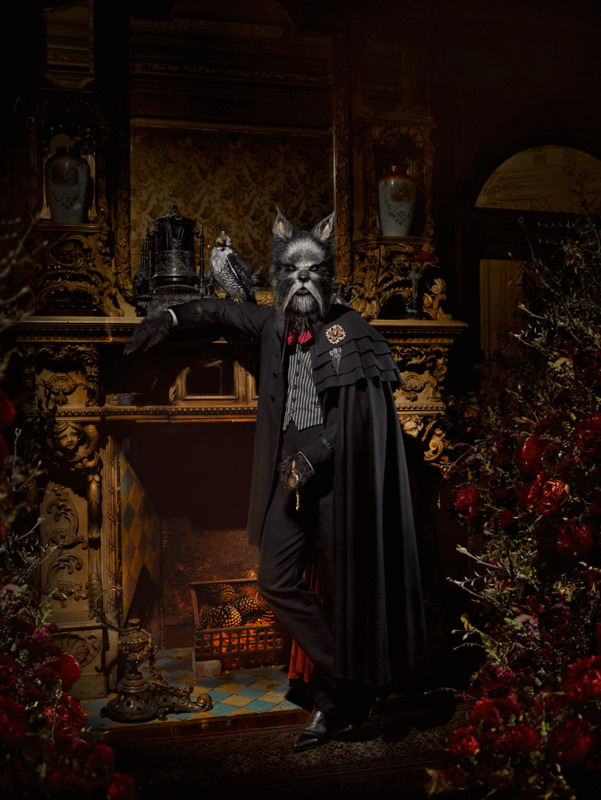 The dynamic International duo Gerard & Marc released their new photographic offering 'Angels & Wolves’ a gothic Fairytale at the Melbourne Flower Merchants gallery space this April. The factual fictitious story conjured by the artists centres around the lady of the house and her dress of a thousand living flowers, her debonair Lupine lover and their gold painted servants which are all presided over by a dark Archangel. The show was ceremoniously opened by Dr Alastair Foster Adjunct professor RMIT University and Director of Cultural Development Consulting. With over 350 people in attendance the exceptional opening night had guests being seduced by gold painted characters from the series serving drinks, and were spoilt with gothic edible delights by Tommy Collins. The photographic series aptly titled ‘Angels and Wolves’ consists of 7 large format photographs and they have been selected by the City of Melbourne to be a part of their Melbourne Spring Fashion Festival curated October 2017,also to be part of Festival of Light Argentina 2018.